Last week I told my Spanish teacher she was old. She asked us for adjectives and this was the only one I knew. She looked at me coldly. Then I realised we were supposed to describe herself. At least somebody decided to give me a heart. I am not good in being bad. And this time, I was the worst. 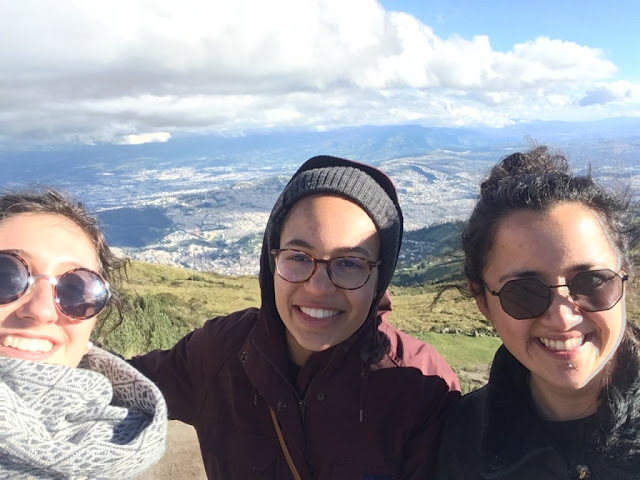 When I applied for an internship at the Universidad Internacional del Ecuador, my host supervisor warned me: "The language will be an obstacle, that you will need to overcome." Since I really wanted to come to Ecuador, I did not feel that it could be a big deal. For some reason I have a very high self-esteem with regards to languages and I also always wrongly assume that if my sister speaks Spanish then I also have to understand it. Well, it's not exactly true. The lack of my Spanish skills showed promptly during the first week of my stay: I was not able to get a phone service subscription, I couldn't ask the bus driver to stop and drop me off, I was afraid to buy lunch at a cafeteria because they would not understand me, and I was not able to talk to my colleagues at the office which made me feel like I am the loneliest person in the whole world. 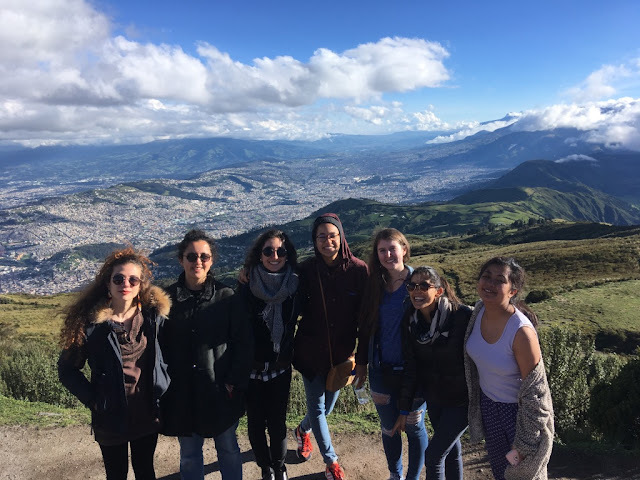 My Spanish class was one of the most stressful experiences I had since I came to Ecuador. It turned out I was the only one, who has never heard a word of Spanish. Alright, I am not completely honest with you: I "studied" Spanish for a while during my early university years, but most of the times, I was not able to get up of bed and be at the class at 7:30. Obviously, I failed. While 5 years ago, I did not bother to go to the class, this time I really wanted to be present. Unfortunately, not only did all my classmates speak Spanish almost fluently, but the teacher also thought that I must be either retarded or extremely lazy if I refuse to answer her Spanish questions in Spanish. I would end up crying every day and after a week I quit the class and returned back to my nutritional reports. However, I realised that what the classes gave me was not Spanish, but the people I have met there. I was no longer alone for lunch and bored during the weekend. Later on, I also learned how to tell the bus driver to stop at my house, figured out how to order a lunch, found myself a 2-year old friend that does not speak normal Spanish yet and to my delight, I realised that some people are trying to learn English because of me, like my video teacher Freddy who is the best person in the world and probably almost got a heart attack when he saw that my whole video equipment was an iPhone SE. Even though being in a country, where I can hardly understand every 10th word, stresses the hell out of me, I would definitely take the same decision again.